I do not know why, but there is a time for everything; a time to play and a time to work. Or like one popular rap artist puts it “work hard play hard”. I know you have heard this a thousand times. Have you ever noticed that the most successful empires, cities or countries in this day and age have one thing in common in their cities? London and Dubai are two places that are showing the world flames; well if you look closely at these places they have a huge clocks in their cities. This is so that the people who live there can always know what time it is and what they should be doing at a certain time. Time management is very important. 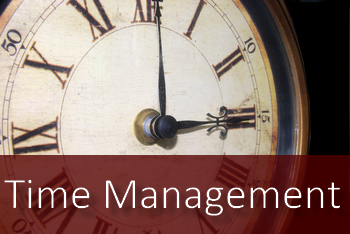 This article is about how to master the skill of keeping time and managing your tasks. I will not include keeping files and so forth; I will only talk about the principal as it is. knowing what is important and what is not is important. Instead of playing a video game for six hours, you can do it for two hours and study the other four. Keeping your times does not mean you will not have fun. No, it means you will know when to have fun and when to work. Go to school during the day and have fun at night, but not to the point where you can’t stay awake in class. I know all my guys think that I am crazy for saying this but it helps. A dairy is a book that helps you to know what you are going to do, why you should do it and when you should do it. This helps you create your own schedule; it helps you be in charge of your own actions. You do not have to do things by chance or fault. you should be committed to your schedule there is nothing more disappointing than when you break your own promise to yourself, friends or family. I will do it tomorrow said the richest man in the world. No! That is not it; successful people who want to grow do it now, not later. The biggest problem with us we think we will be given the same opportunities forever. Life expects you to want different things, for your own growth. Organize yourself and see where life will take you. I once heard this from a movie “we do what we should do so that we do what we want to do” so what do you want? In order to get that what should you do? 0 Responses on Time management in High School and University"